SDX helps you discover hidden value in your distributed manufacturing supply chain. Utilizing the SDX platform, some of our customers have saved 25% or more on the materials that go into their parts. 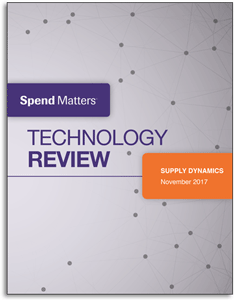 Independent supply chain technology expert Jason Busch of Spend Matters takes you on a journey exploring SDX, Supply Dynamics' multi-enterprise direct materials procurement solution.